The second Technical Skills workshop, held from the 11th to the 13th November, focused on the role of design in production and design ownership by the creative team. It looked into the interaction between the director and the designer, and unearths methods of how good design contributes to good production. Valletta 2018, the ACM and the Culture Directorate are investing strategically in cultural infrastructure and capacity building which are essential to develop and promote the cultural programme. Consequently exercises are being carried out to take stock of the available infrastructure and human resources, identifying the gap and addressing it with a view to have strong ground work in place by 2018. According to available data, there are 10,378 people economically active in the Cultural and Creative Sector in Malta and Gozo. The performing arts sector on its own comprises 290 enterprises employing 580 employees, 80 per cent of which are self-employed. In addition, a considerable amount of voluntary work goes into performance related activity in the 72 active spaces used for theatrical productions on the island. Some 15% of the Valletta 2018 Cultural Programme Budget, amounting to €75,000 annually, is dedicated to capacity building and professionalisation of artists and practitioners in the fields of visual arts, performing arts, literature and physical infrastructure. The first Theatre Technical Skills workshop, led by UK lighting designer Michael Mannion, was held over three days last month and focused primarily on the creative aspect of light design in theatre. The second workshop, held from the 11th to the 13th November, was conducted by London-based theatre director Jan-Willem van der Bosch and set designer Garance Marneur. It focused on the role of design in production and design ownership by the creative team. It looked into the interaction between the director and the designer, and unearths methods of how good design contributes to good production. 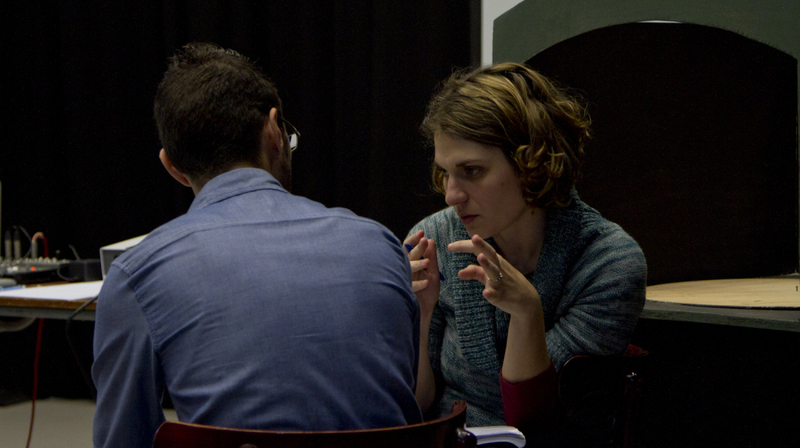 Dialogue between directors and collaborators and how such interaction influences the creative team in their communication with audiences, is analysed. These short courses are taking place with support from St James Cavalier Centre for Creativity and Teatru Manoel. Besides the Technical Skills courses, Valletta 2018 runs the Curatorial School and the Curators in Residence Programme, intended for the professional development of artists, and Storyworks – workshops in script writing for the screen. Valletta 2018 has introduced Sofar Sounds to Malta by which non-traditional live music experiences showcasing the music of upcoming artists are organised. Another initiative in line with the realm of performing arts is Malta Showcase; a platform of Maltese repertoire intended to maximise the potential and increase the reputation of contemporary Maltese performers abroad. Writing workshops, literary events and the development of film based on Maltese text, are also taking place. In parallel with this, Valletta 2018 is running the Cultural Mapping Project. This is based on research analysis designed to generate information on culture use and practice in public and publicly-accessible spaces in Malta and Gozo.